Vernamae Hladky, 72, of Schuyler, died Wednesday, March 22, 2017, at St. Joseph's Villa in Omaha. Funeral Service Saturday, March 25, 2017 1:00 P.M.
Vernamae Hladky was born November 13, 1944 in Schuyler, Nebraska to Verna and Adolph Hladky. 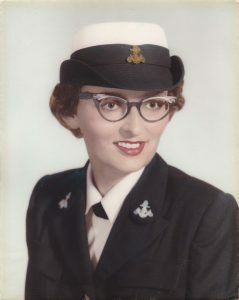 Vernamae proudly served in the United States Navy as a dental technician at Bethesda Naval Hospital, graduating from dental tech school in San Diego, California. After returning to Nebraska, she enjoyed life as a resident of Schuyler, working in the manufacturing industry in Columbus. Vernamae treasured her friends and family. She took care of her mother for many years and was a member of the Bellwood American Legion and the First Presbyterian Church in Schuyler. She suffered from dementia and moved to St. Joseph’s Villa in Omaha, Nebraska in June 2015. Vernamae was preceded in death by her parents and brother, Donald. She is survived by her sister Marcella (Richard) Brousek, of Omaha, brothers Richard of Fremont, Raymond (Donna) Hladky of Tekamah, sister-in-law Susan Hladky of Nampa, Idaho, cousin Sheryl Crutcher of Palestine, Texas and many beloved nieces and nephews.